Call HD Foundations For House Leveling in Dallas, Fort Worth. Study Our Process. Do you require Dallas house leveling, Fort Worth or DFW metroplex service? If so, contact HD Foundations and find out about our techniques. 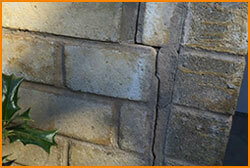 We restore structures all across the Dallas, Fort Worth area and will glad to discuss our house leveling process. It’s commonly needed on slab foundations and pier and beam structures. One side of a house usually needs to be made even before the another side. It protects your structure from further damage. Two methods are most often used in the Dallas, Fort Worth metroplex. They include pressed concrete foundation piers and steel foundation piers. We install both types. We use these piers to elevate your house. They are placed beneath your foundation or around it. Your house is positioned on top of these pilings. HD Foundations will require access to the inside of your house during the leveling process. If you live in the Dallas, Fort Worth area, learn about house leveling costs. Fees are based on many things, including the size of the project and the number of piers that are required. For a free evaluation and pricing, ask us to stop by your house in Fort Worth or Dallas. House leveling estimates can be scheduled free online today. To learn more, contact HD Foundations.